working specifically within the retail motor industry. Motor Dealers Directly Authorised by the FCA. 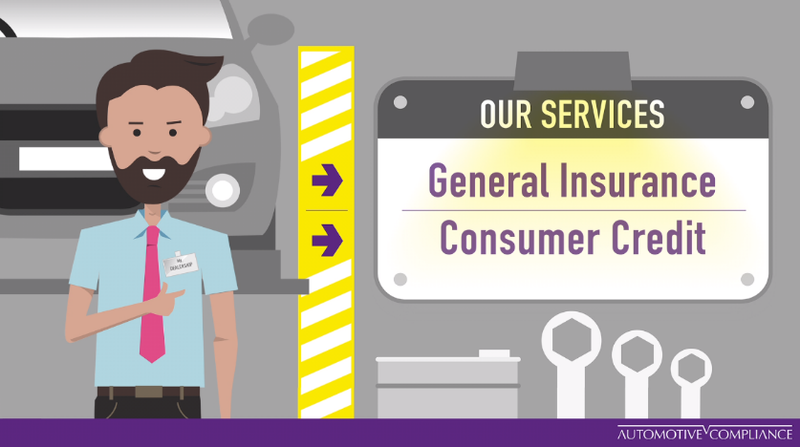 Our permissions allow motor dealers to act as Credit Brokers and sell add-on General Insurance products, from providers of their choice, under the umbrella of Automotive Compliance Ltd, without the requirement of being Directly Authorised by the FCA. What is the happening in the Regulatory world that affects you? FCA Senior Managers Certification Regime (SM&CR) : Deadline 9th December 2019 : What a Motor Dealer Needs to Know ! If you are a Motor Dealer still directly authorised by the FCA, this is important information regarding changes to your responsibilities. From the 1st October 2018 the IDD requires that insurance and reinsurance distributors, evidence appropriate knowledge and ability in order to complete their tasks and perform their duties competently with 15 hours of qualifying skills assessment and training. Are you aware that we also work with motor dealers directly authorised by the FCA?